One of the many beautiful memories from my EVS to look back on: The On-Arrival Training. Time is just flying by here in Romania; and sadly, the end of the project is approaching. However, I have so many great memories to look back on, one of them being the on-arrival training we had in the last week of March. 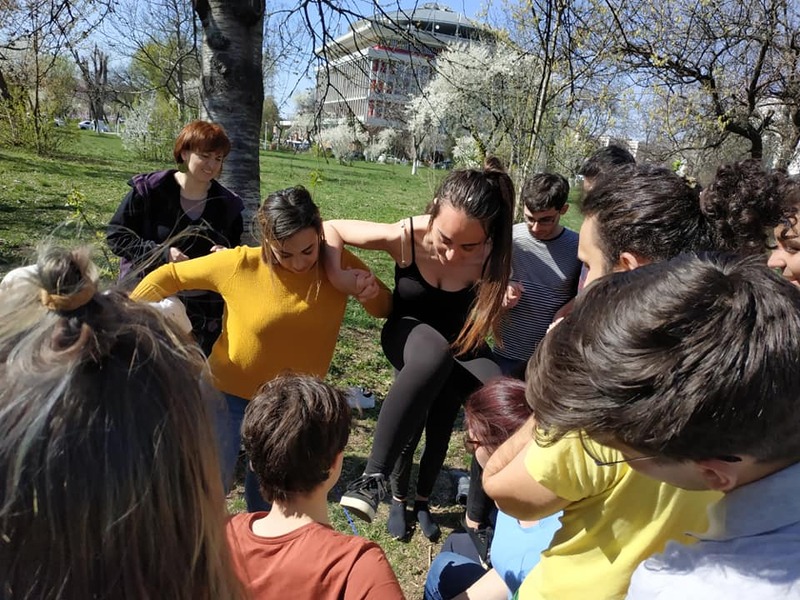 After almost three amazing months in Romania; volunteering with the Team for Youth Association in Baia Mare, the time to do our on-arrival training (along with a lot of other volunteers living in different parts of the country) had finally come. I was so excited for this part of the project and had been looking forward to it for quite a while! The OAT was held in the beautiful city of Bucharest. After a 12-hour train ride all I could think about is getting safe to our fancy hotel, eating, taking a nice hot shower and sleeping. However, during that same evening it was announced that we had a short introductory meeting which to be honest seemed a little tiring at that point in time. Nonetheless I was also excited to see and perhaps even meet the other volunteers. 90 EVS volunteers! From 18 different countries! We all gathered together in one place for the same purpose…. it seemed a bit overwhelming at first and I did not know what to expect but as the days went by, things surely changed. Even though we were quite the large group, we were divided into three different groups for the majority of the workshops and activities. The first few activities of the training focused more on getting to know each other and on team building strategies. This developed a certain bond among all the volunteers. Many of the following activities highlighted the framework of the EVS projects and their process. We also had an intercultural evening where members from each country represented some of its traditions and rituals. From this training course I found out so many facts about the EVS and about other volunteers and their projects. For starters, I learnt that there are so many kind souls out there who are willing to use their time to help those less fortunate than the rest of us. 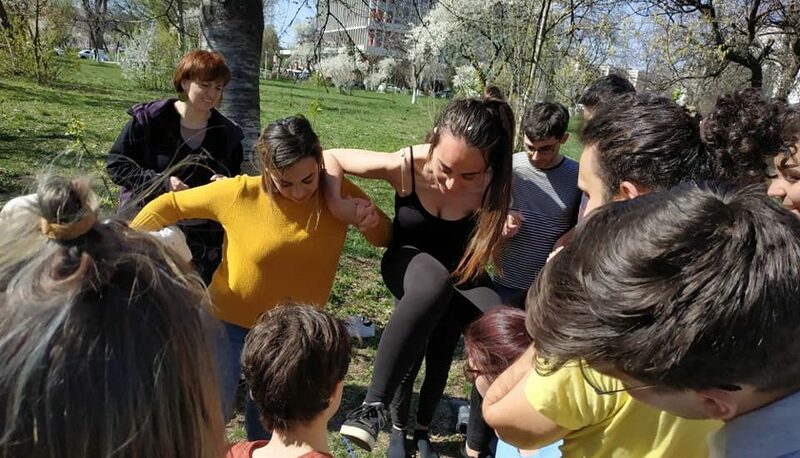 From promoting blood donation to planning interactive activities with children and adults with disabilities and helping out with the Roma community they ( a.k.a we) do it all! Moreover, I learnt so much about the framework of the EVS project and its process. I got to know more about how the system actually works and I got a better understanding the roles of all the important people involved. Before this training I was a bit lost because I was not quite sure who is in charge of what and who gets to be involved when it comes to an EVS project. However, now I can say that I definitely have a clearer picture of the system. One thing which struck me the most was that all this time I had thought that it was only me who was going through different stages during my project like for example those of excitement, culture shock and sadness. However, thanks to this training I realized that I was wrong! Going through rough times and experiencing confusing emotions during the project is actually normal as it is part of the EVS experience. I had always thought that I was the only one fighting these battles but apparently, I was not alone! This gave me a sense of belonging and made me look at my experience from a whole new perspective. It made me feel more at ease and understood. It’s amazing how such a big group of people can become like one big family in such a short period of time. Although all of us were coming from different backgrounds and a wide range of cultures, it still didn’t stop us from connecting with one another. In fact, it made me realize how much in common we all have and how similar and like-minded we all are. Lynn is a Maltese volunteer and she takes part in the “SEV 4×4” project which is an European Voluntary Service financed by the European Commission through Erasmus Plus program. The content of this article does not reflect the official opinion of the European Union. Responsibility for the information and views expressed in the article lies entirely with the author.